Counsilman-Hunsaker, in association with Sink Combs Dethlefs, was commissioned to design an indoor leisure facility as part of the Fort Lupton Recreation Center. 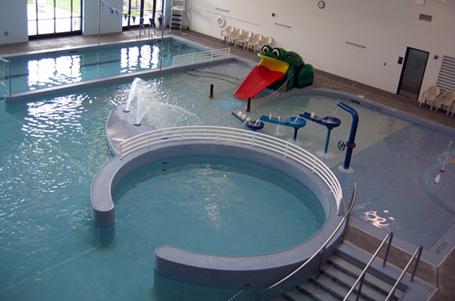 The leisure pool’s award-winning, innovative design made optimum use of the available space with an array of features. In this one facility, the City of Fort Lupton is able to meet the aquatic needs of people of all ages, swimming ability, and interests.